¡Viva Brazil! brings the music and poetry, rhythms and movement of Brazil to the heart of Kentucky. This multi-day event represents an exciting new kind of partnership between Centre College’s faculty and the Norton Center for the Arts. The recent creation of a Latin American Studies minor at Centre College provided the initial inspiration for the event. As the faculty coordinators noted, “Latinos are the fastest growing group in the United States and this region is vital to our country’s future. So, we think it is crucial that students do more than just read about Latin America in a book. We want them to experience Latin America in the most hands-on way possible. We want to bring a little bit of Latin America to Danville.” And when faculty members talked to students about how they would like to encounter Latin American culture, students responded “Music, music, music!” The collaboration between Centre’s Latin American Studies minor and the Norton Center for the Arts made that possible and much more! ¡Viva Brazil! 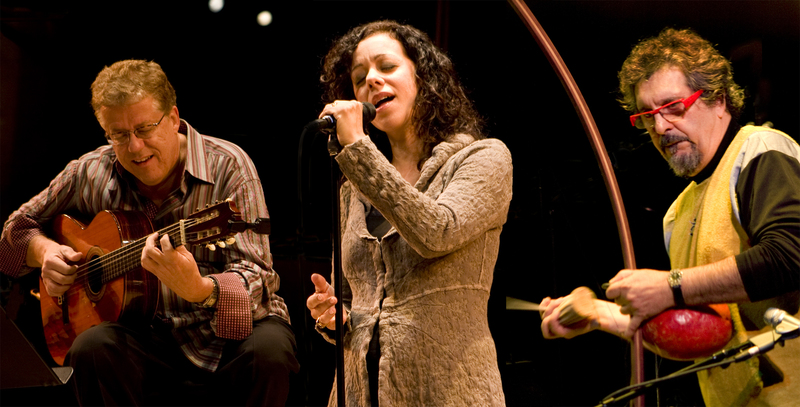 is not only a performance by world-class Brazilian musicians. Through educational rhythm workshops, master classes, and discussions about poetry, art, and social action, Centre students and the larger community have the opportunity to actively reflect on the ethnic and cultural influences that have shaped Brazil’s musical tradition, the relationship between Brazil and the United States, and the intersection of art and social action at home and abroad. Brazilian music is a story of movement and cultural encounters – a story of African slaves arriving to the Americas, freed slaves moving from plantations to Brazil’s coastal cities, and the twentieth-century mixture of international sounds stimulated by records, radio, TV, and movies. At the heart of modern Brazilian music is samba. Like rumba and tango, samba is an African-based tradition of music and dance traditionally tied to religious expression. Originally born in the slave quarters of Northeastern Brazil’s sugar plantations, samba migrated to cities along with emancipated slaves. In Rio de Janeiro’s working class neighborhoods, Afro-Brazilians developed the dynamic rhythms and movements of modern samba. By the 1940s, samba was closely linked to Brazilian Carnival and was rapidly becoming a symbol of Brazilian identity. In the decades that followed, samba began to mingle with regional and international sounds – the European guitar, Amerindian percussion, Portuguese melodies, the ballads of Northeastern Brazil, North American jazz, Western classical music, and Rock ‘N’ Roll. These mixtures produced a rich and diverse modern musical tradition in Brazil – from the sophisticated sounds of bossa nova to the counter-cultural rock-inspired Tropicalismo. Today, world-renowned Brazilian musicians like Luciana Souza, Romero Lubambo, and Cyro Baptista continue this tradition of dynamic exchange and collaboration, enriching the musical field in Brazil, the United States, and beyond.